Kiddy Evoluna i-size - The Kiddy Evoluna i-Size infant carrier has been approved to meet the new i-Size safety standards and provides maximum protection for a baby or young toddler up to 15 months of age. The Evoluna i-Size is packed with state of the art technology to protect a child in the event of an impact, but also to protect their health and development. 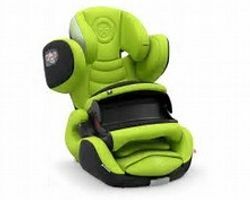 This offers the child all round protection, with double the peace of mind for you. .
Kiddy Cruiserfix 3 - Group 2,3: The Cruiserfix 3 is the latest in the Cruiserfix series by Kiddy. The previous Cruiserfix model. We have improved the side impact protection and added to the overall safety, so that the Cruiserfix 3 also meets the latest norm: ECE-R44/04 and corresponds to the very latest safety standards. Kiddy Guardianfix 3 - Group 1,2,3: The Guardianfix 3 is the latest version of the Guardianfix series from Kiddy. This new car seat builds on the proven safety record of the previous model. 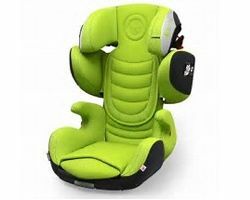 Guardianfix 3 also meets the latest norm: ECE-R44/04 and therefore corresponds to the very latest safety standards.This seat can be used directly after an infant car seat. Kiddy Phenoixfix 3 - Group 1: The Phoenixfix 3 combines optimum safety with user friendliness, an appealing design and premium quality. 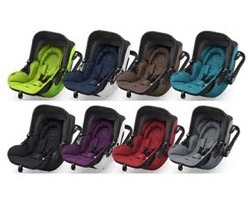 It is the successor of the established and top award-winning car seat, the outstanding Phoenixfix Pro 2. The Phoenixfix 3 adapts to your child's growing body. 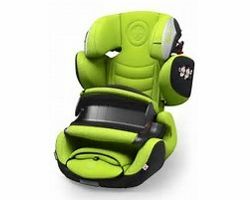 In this way the seat fits perfectly and cocoons your child to offer even better protection.